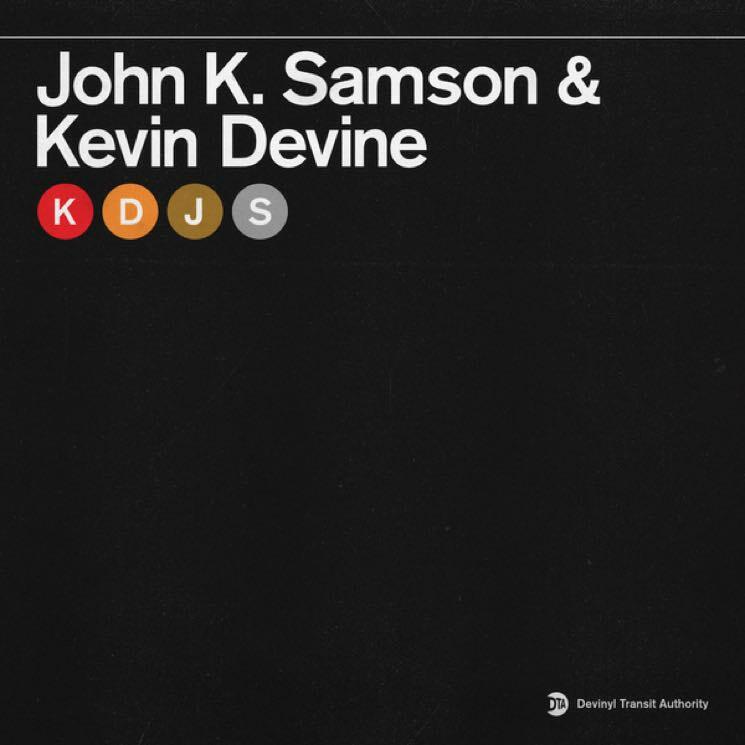 Stream Samson's cover of Christine Fellows' "Saturday Night on Utopia Parkway"
Kevin Devine is continuing his Devinyl Splits series with a new contribution from former Weakerthans frontman John K. Samson. The pair will release a split 7-inch on November 30 via Bad Timing Records. The two-track single starts with Samson covering his partner Christine Fellows' song "Saturday Night on Utopia Parkway," while the flip side hears a new original track by Devine called "I Wrote It Down for You." There will be 500 copies of the 7-inch pressed on silver vinyl, while 250 will arrive on half silver/half clear wax. Pre-orders are available here. Listen to Samson's rendition of "Saturday Night on Utopia Parkway" below, where you can also find his upcoming tour dates. John K. Samson Shares New Version of "Prayer for Ruby Elm"